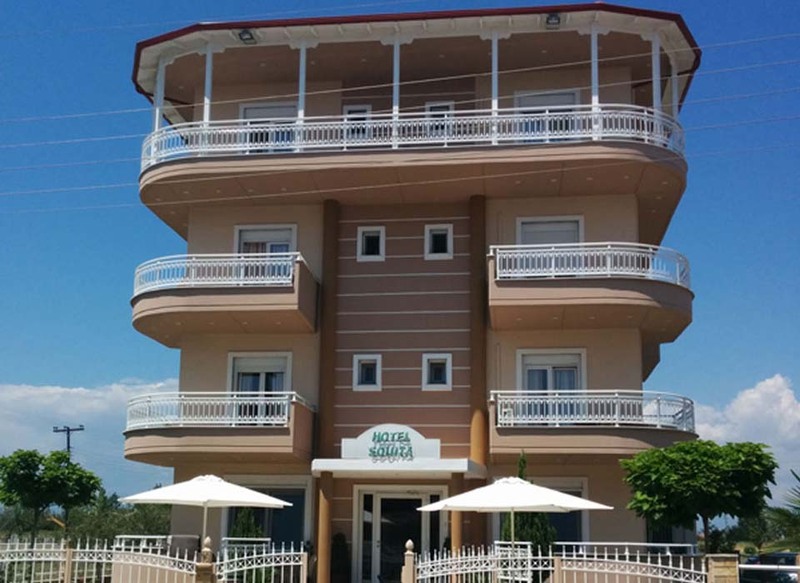 The Hotel Souita is located in Paralia Katerini, a small city, near Katerini - Capital of the Municipality of Pieria, 70 km south of Thessaloniki. 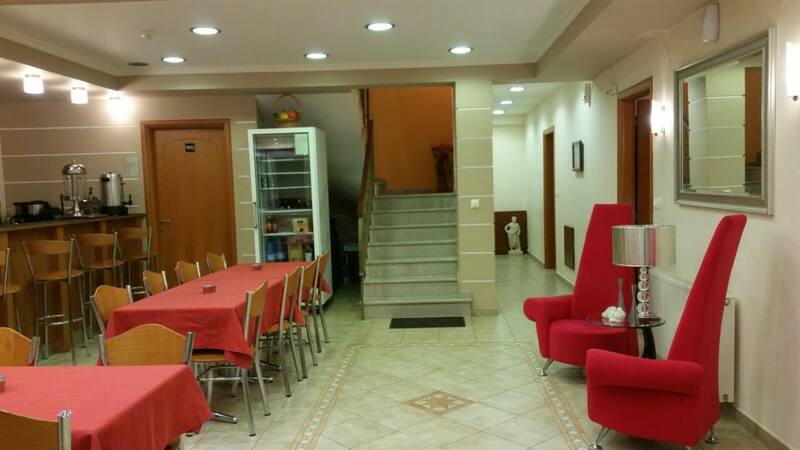 The hotel situated just 100 meters from the sea and beach. The stunning view from your room, you can see the Mythic Mountain Olympus, at just one glance! The building impresses with modern architectural style and clean interior design. 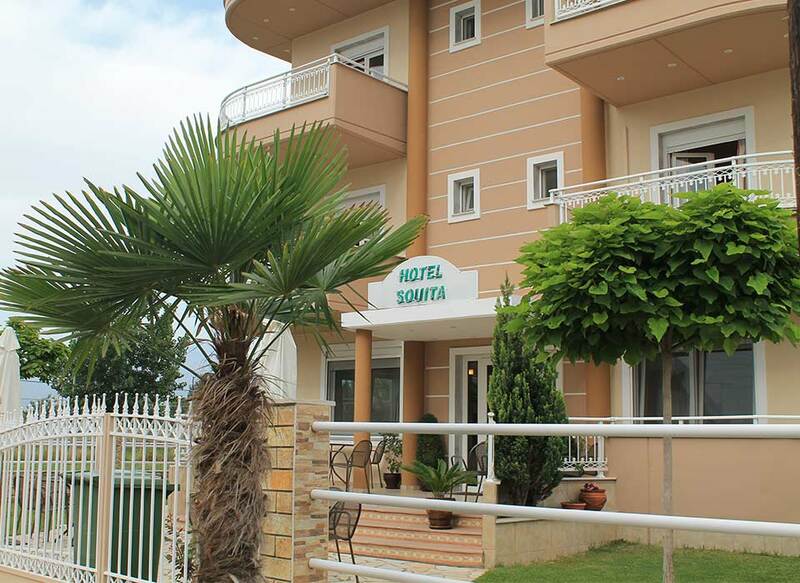 The Hotel “Souita” offers accommodation 23 comfortable double rooms, 4 triple rooms and family room "suites". 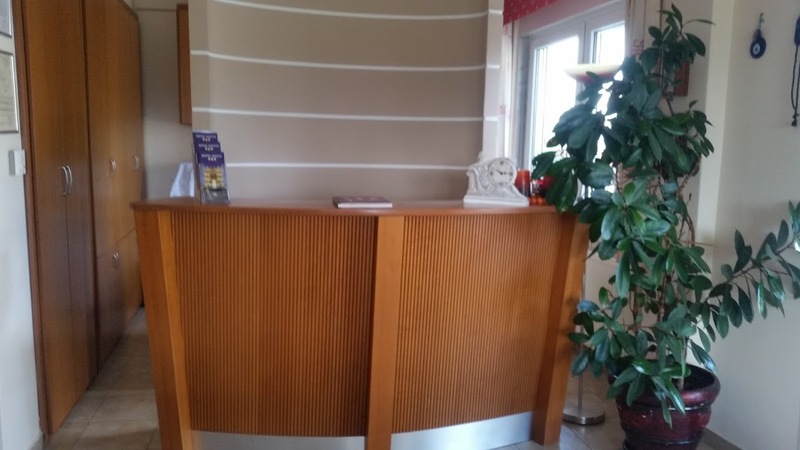 Each room has hairdryer, air conditioning, TV satellite channels, mini bar, telephone, desk and wardrobe, bathroom with cabine, balcony and free Internet. The hotel offers a rich breakfast buffet. Guests at the hotel have a lobby bar offering a variety of drinks in a pleasant and comfortable setting. Barbecue, tables and chairs are available in the summer garden in front of the hotel. Elevator, safe at the reception. Free Internet access in the hotel. Non-smoking rooms. Easy access for the disabled people. Free public parking is available at the hotel guests. Playgrounds are available opposite of the hotel. Pets are not allowed. The hotel is open from May to October. Time outside this period, the hotel works only with groups of minimum 40 persons upon request. 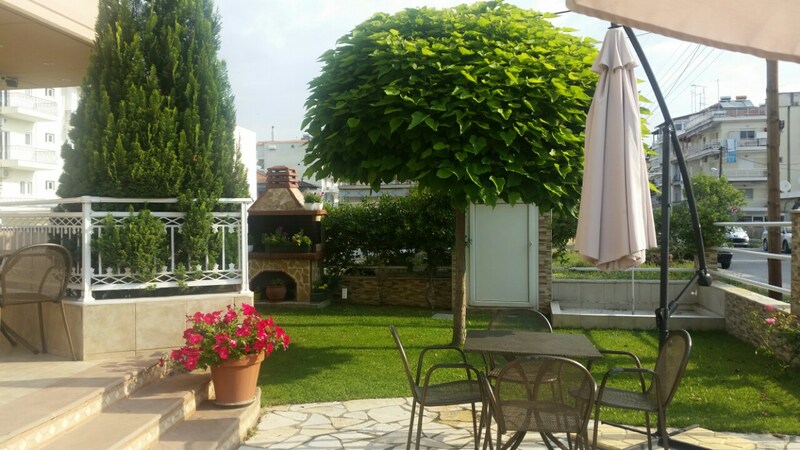 Enjoy a wonderful holiday in Hotel Souita. Under the shadow of mount Olympos we invite you to take a close look at the natural beauties and sites of Pieria county, the ancient Dion and the exquisite shores of Paralia. The hotel's location serves as a great starting point for day trips to Mount Olympus, Platamon fortress, the rocks of Meteora, Skiathos or the ski center of Elatochori during winter and others. Our hotel is very close to all the night clubs and bars in the area from where you can go either by foot or car. Not far from our premises you can find bakery products and souvenirs. 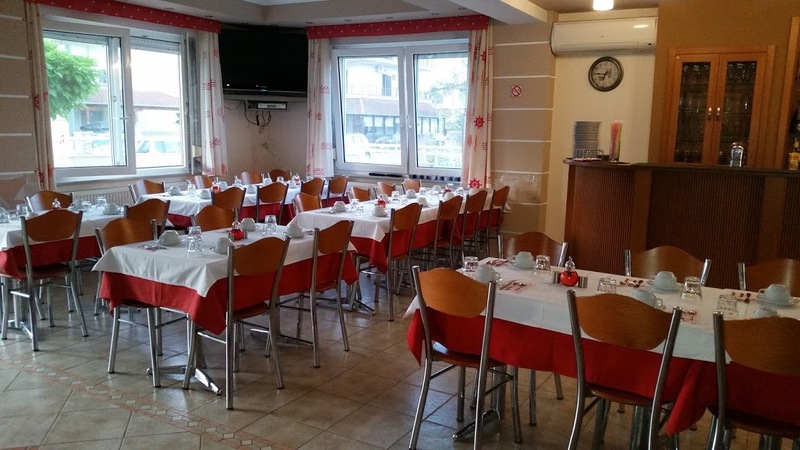 Restaurants and traditional taverns serving meat and fish are situated around our hotel. Feel free to visit them and enjoy greek hospitality.